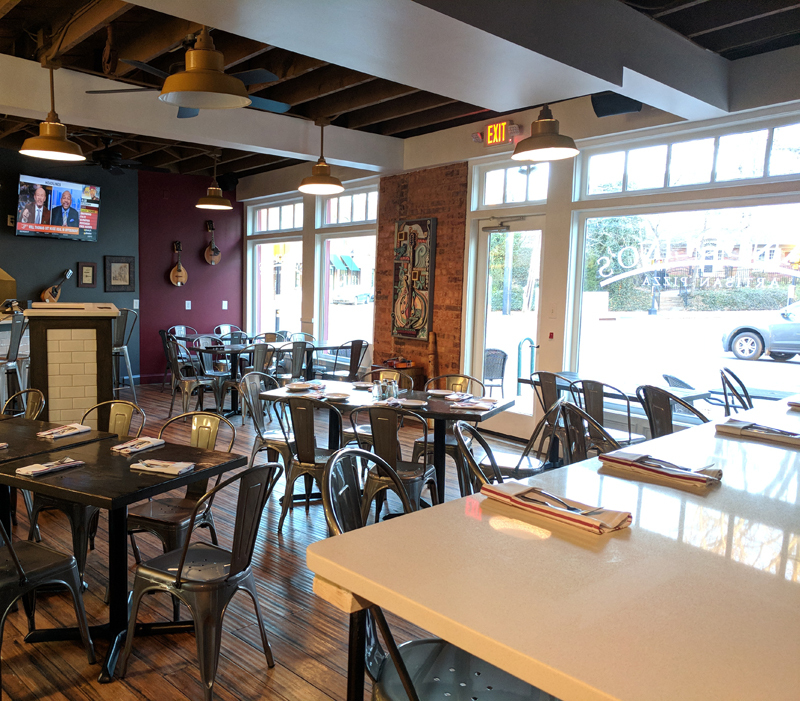 We are excited to announce that Andy was commissioned to create a mandolin assemblage piece for Mandolino's Artisan Pizza, which opened last month. It's in a beautifully restored space located in the heart of Davidson's Historic District, about 30 minutes north of Charlotte. Executive Chef Bill Schutz has created a menu of carefully-sourced ingredients reflecting his Italian family heritage. The sheet pan pizza is scratch-made and brick-oven baked, a style historically known as "Grandma's Pizza." When you have an opportunity to visit, you'll see Andy's mandolin piece hanging in the dining room!